Advanced Life support (ALS) ambulances, also known as Cardiac Ambulances, are designed specifically to provide assistance to patients suffering from cardiac diseases, which are among the deadliest killers known to man today. These diseases affect the patient’s circulatory system, blood vessels, heart muscle, valves, or rhythm. Often, the blood vessels of such patients become narrow or blocked, leading to chest pain, heart attacks, or strokes, eventually resulting in death. In fact, cardiac diseases are today the leading cause of deaths in India, owing to factors like lack of access to quality healthcare, and the timely availability of appropriate cardiac ambulance services. Over the last two decades, the rate of deaths from heart diseases in India has increased by almost 34 per cent, rising from 155.7 to 209.1 deaths per one lakh population. In most of these cases, the lives of the patients could have been saved if the appropriate emergency medical attention had been obtained within time. In fact, it is of critical importance that patients suffering from a heart attack or cardiac arrest receive appropriate medical assistance and treatment, within the first hour of an attack. These 60 minutes comprise the “golden hour”, post which, the patient’s chances of survival decline rapidly, owing to the increased damage suffered by the heart muscle. This highlights an urgent need for population-level policies, and the implementation of improved local, regional, and national emergency health services, especially with regards to ALS or cardiac ambulances. These ambulances are equipped with a ventilator, defibrillator, oxygen cylinder, an electrocardiography (ECG) machine, and a monitoring device, to address life-threatening situations like cardiac arrests and emergencies which require providing oxygen and respiratory support to critically ill-patients. However, despite having never had a structured system for addressing medical emergencies, India is estimated to possess only 10,000 ambulances, a dismally low number for a country with such a huge population. Public-private partnerships between state governments and private EMS providers, have, however, played a major role in reducing deaths due to cardiac diseases in India. 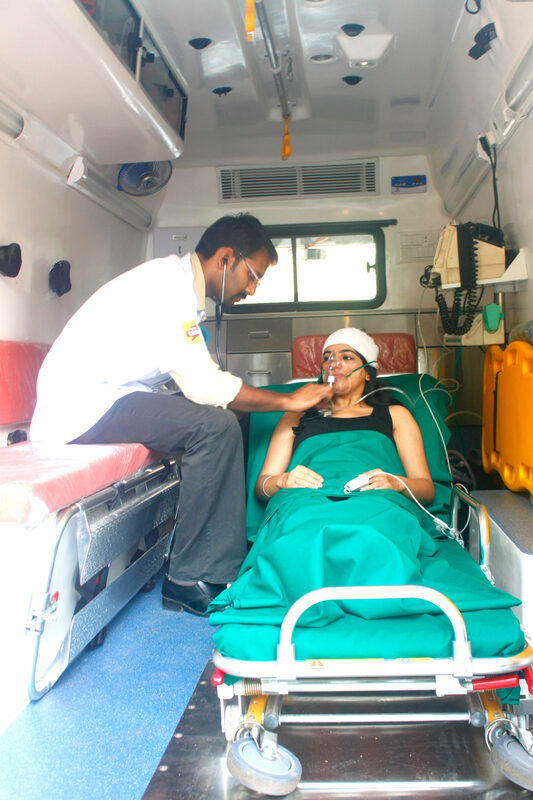 For instance, Ziqitza Healthcare Limited (ZHL), in partnership with the Indian Government, operates fully-equipped ALS ambulances in the states of Madhya Pradesh, Jharkhand, Punjab, Odisha, and Bihar, under the 108 emergency services, along with Basic Life Support (BLS) ambulances. Additionally, the recently launched National Health Mission (NHM), by the Indian Government, also supports the capital expenditure of all 108 emergency ambulances, along with their operational cost, on a diminishing scale, which has helped improve the availability of cardiac ambulances immensely. The proposed launch of mobile cardiac units by various state governments is also expected to be a major step forward, eventually bringing down the abnormally high rate of deaths from cardiac diseases in the country, currently.